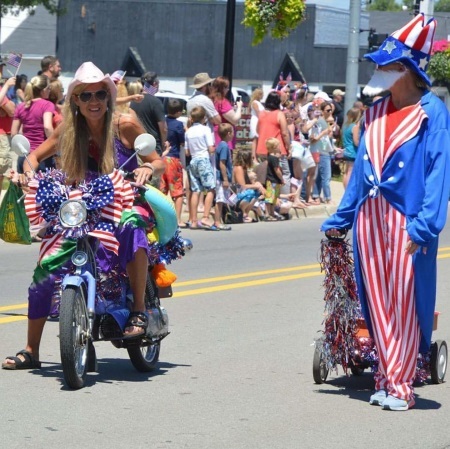 Parade proceeds at 11 a.m. through Downtown Oscoda moving South on US 23 from Furtaw Field via Water Street, to Mill Street West, across the bridge. 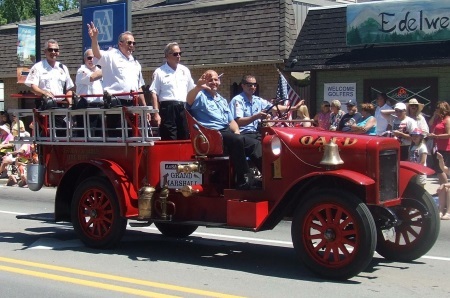 To register as a Parade Participant, please call the OACC at 989-739-7322, or click the link below. Freedom Festival begins at 4:00 p.m. Live music playing til fireworks start, hosted by AuSable River Trading Post, at Oscoda Beach Park Band Shell. A Community Picnic, hosted by the Oscoda Rotary and Oscoda Lions Club, will be held at the Oscoda Beach Park. Starting at 5 p.m. the Lions and Rotary Clubs will be selling hot dogs, chips, apple pie and soft drinks while kids enjoy games, sand castle building, and splash pad! 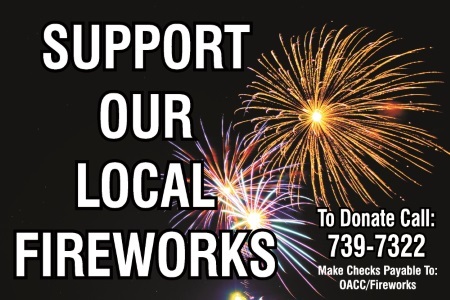 Fireworks display will be held at dusk from the Oscoda Beach Park observatory pier. Bring a chair or blanket, and enjoy the show!